The Icon Tasting Experience at Chapel Hill is an innovative and immersive food and wine, educational experience for groups. 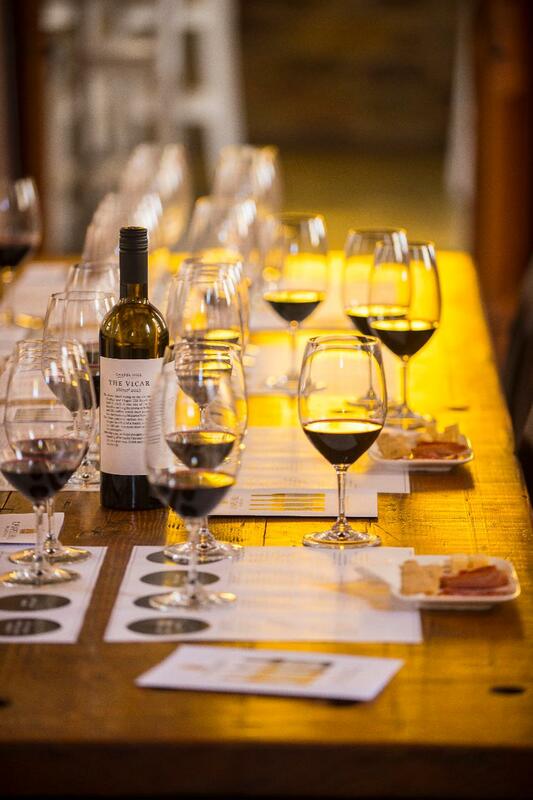 It is a seated tasting in our 153-year-old Chapel of our four flagship red wines, matched to locally sourced food, hosted by our knowledgeable and personable staff. It is the only offering of its kind in the region and was awarded Gourmet Traveller Wine Australia’s Best Cellar Door Awards 2017 “Best Additional Experience – McLaren Vale”. Charge: $15 per person (fully redeemable if two or more bottles of Icon wine are purchased).